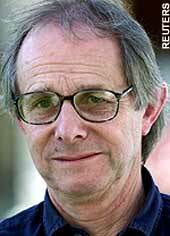 I was shocked – shocked – to read Dominic Lawson’s devastating revelations about Ken Loach in today’s Independent [subscription required]. I don’t quite know how to break this to you, gentle reader, but it appears that Britain’s best living film director is … a revolutionary socialist. Almost, Dom. Almost. The FI was founded in 1938. But why let factual accuracy get in the way of a good rant? You say that like it’s a bad thing, Mr Lawson. Isn’t the overthrow of capitalism what Trot groups stand for, by definition? The tone reminds me of nothing so much as the Daily Mail circa 1982, working its readers into a frenzy over the latest outrage from the loony left. And guess what? Loach’s latest film – The wind that shakes the barley - does not present a properly balanced account of the Irish Republican Army. In particular, it does not consider the pro-Hitler leanings of the IRA leadership in the 1940s. But given that it’s set in the early 1920s, there’s no reason why it should. Lawson might just as well stress that it doesn’t examine the manner in which most of the organisation became de facto Stalinists in the late 1960s. The wind that shakes the barley doesn’t purport to be a full-length historical documentary. It’s a polemic, Dominic. To attack Loach for making films that reflect his revolutionary socialist standpoint makes about as much sense as attacking Clint Eastwood movies for being rightwing. The reviews suggest the flick is Loach's best work in years. I can't wait to see it.